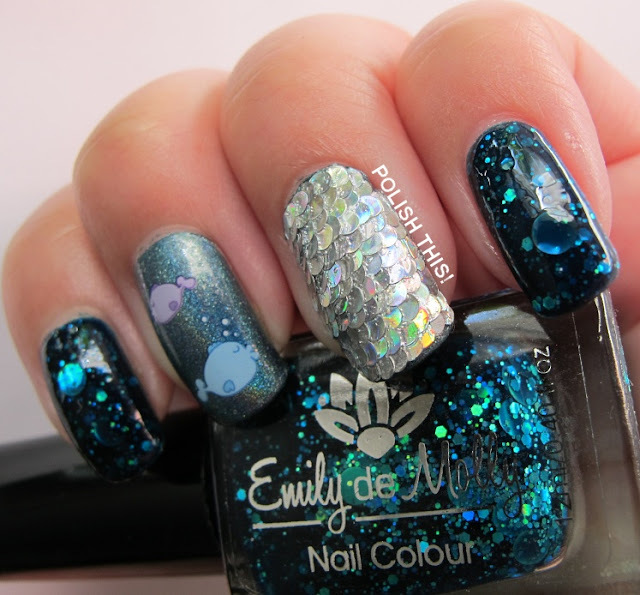 Fish Themed Manicure with BPS Round Glitters - Polish This! So my idea came of course from these round glitters and I placed them using a top coat to fix them to my ring finger nail and in a way so that they overlap each other, so the design would look like fish scales. At least my boyfriend recognized immediately what I was trying to do with this, so I guess it worked. I used top coat to seal the design too, but I should have probably been a bit more careful with it as it caused quite a few of bubbles, but somehow with this ring finger design, it didn't matter too much, but of course I would have prefered it not to bubble. I started this mani using I Love Nail Polish Blue Steel as my base color. Then I did the ring finger design and topped my index and pinky nails with Emily de Molly Oceanic Forces (two coats over Blue Steel). For my middle and thumb finger nails I used some fish water decals, that I got from the goodie bag from our meeting (their from Adenina). I've never done any fish themed manicure before and I'm not really sure if this is my type of thing at all. I think I might like some flower designs or abstract manis better, but it's always fun to try out something totally different. Also, I just had to include Emily de Molly Oceanic Forces to this mani, because it seemed like a perfect polish for this theme. And what a gorgeous one it is! I forgot to take a picture before doing the scales, but you can still see the polish here. This is three coats of I Love Nail Polish Blue Steel with base and top coat. 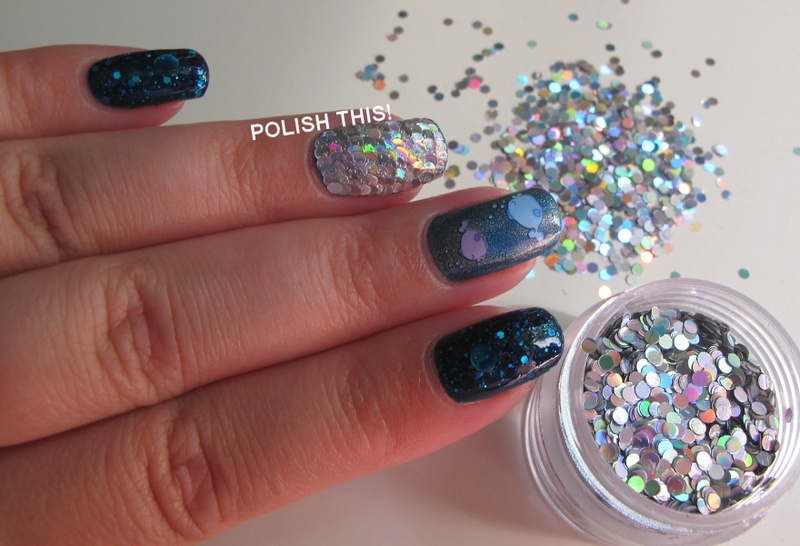 It is really a gorgeous blue holographic! 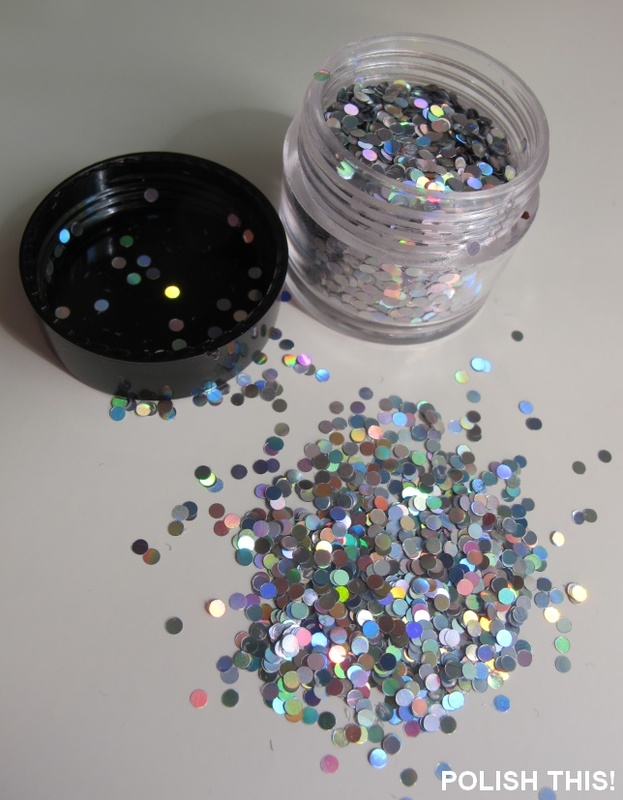 *The round glitters were sent for me to review, for more information see my disclosure policy. 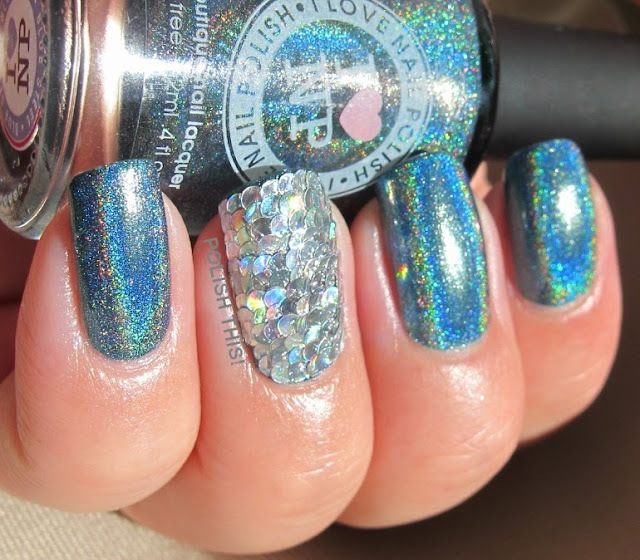 **I got the fish water decals from the goodie bag from our meeting. You are really patient and steady handed. I would have stopped halfway though placement and called it good. Oh well, it wasn't really too hard to do! :) Thanks for the comment!